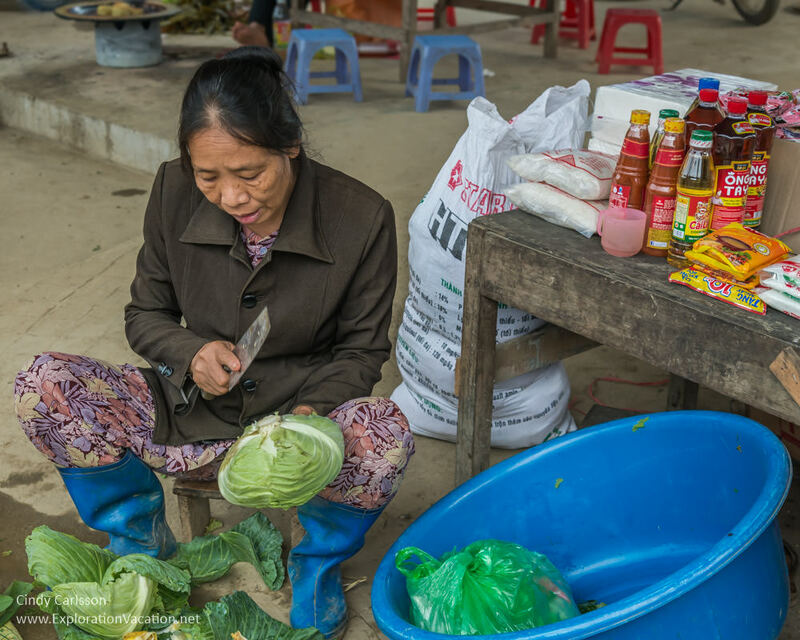 Residents in the rural towns of northern Vietnam rely on weekly markets to buy and sell the goods they can’t grow or build at home. 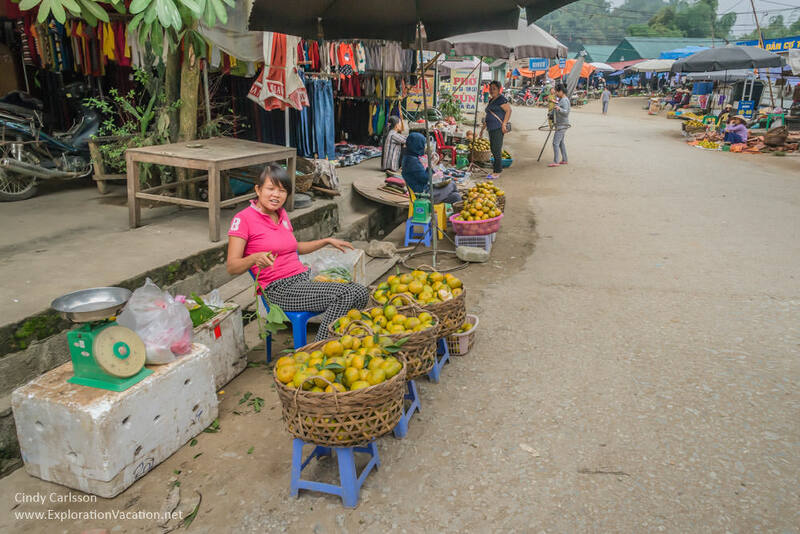 Visitors are always welcome to stop and shop, as we did at this market near Ba Be Lake. 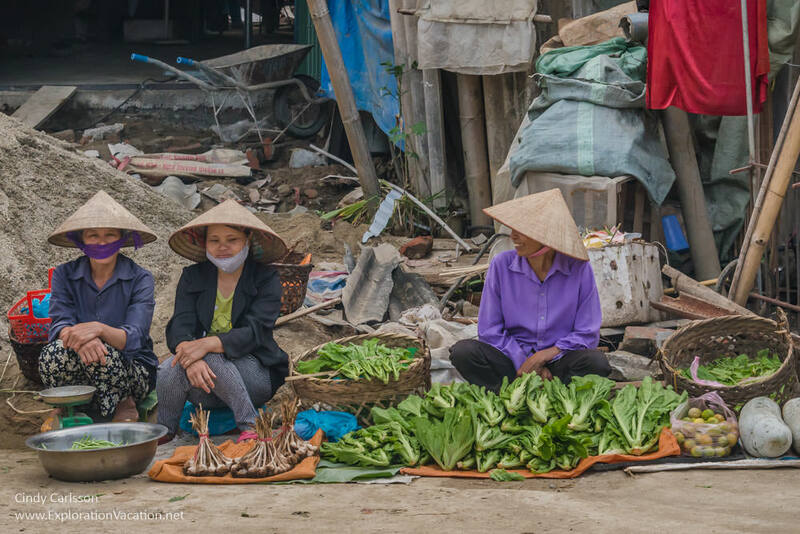 This is a pretty ordinary weekly market for Vietnam, with lots of vegetables, clothing, and household goods for sale – all things the residents of this town and the surrounding villages need. There are also prepared foods for sale, like these goodies wrapped in banana leaves. 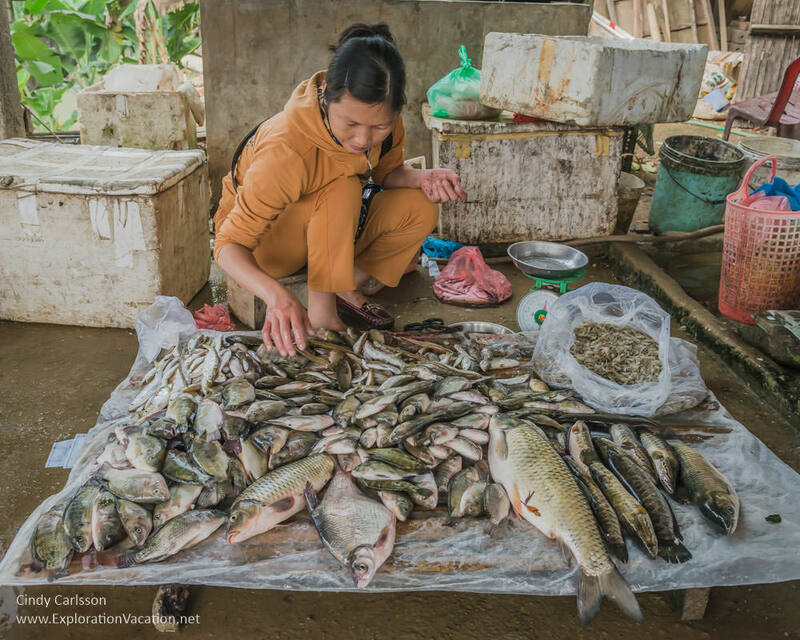 Because we are near Ba Be Lake — a major source of fish in this part of northern Vietnam, this market has a large selection of fresh fish for sale. 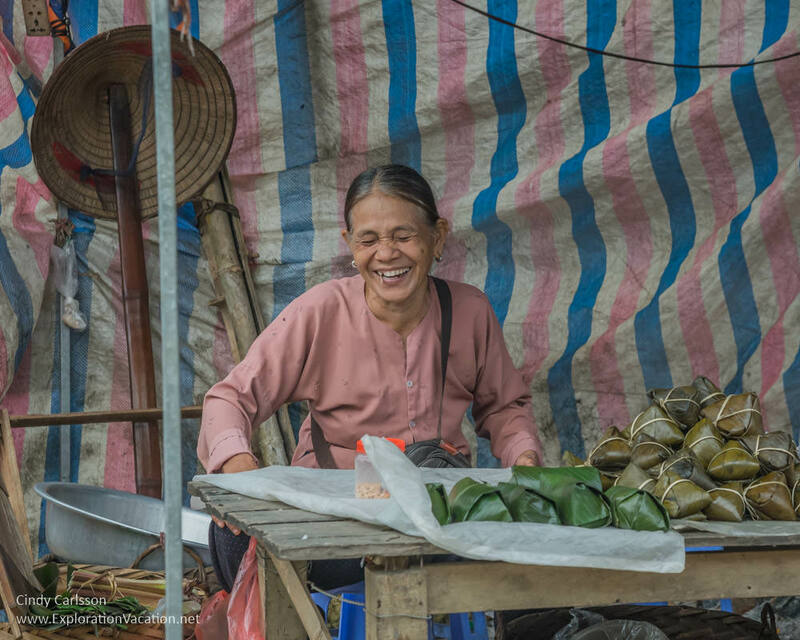 While the vendors at this market aren’t wearing the elaborate costumes of the ethnic groups I will see farther north, there are a few women wearing simple traditional clothing. 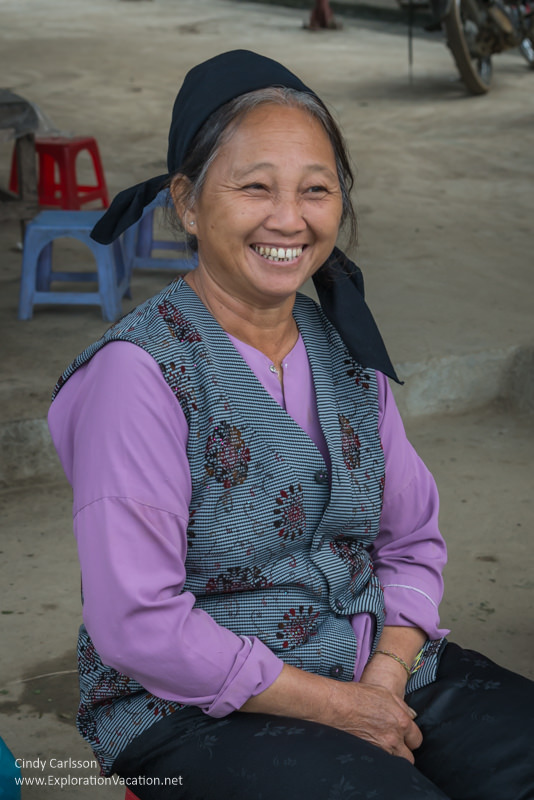 And, like everywhere in Vietnam, people are very friendly.